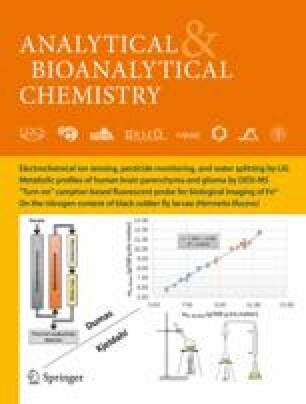 An electrochemical hybridization biosensor based on the intrinsic oxidation signals of nucleic acids and proteins has been designed, that makes use of the unique binding event between Escherichia coli single-strand binding protein (SSB) and single-stranded DNA (ssDNA). The voltammetric signal from guanine oxidation significantly decreased upon binding of SSB to single-stranded oligonucleotides (probe), anchored on a single-walled carbon nanotube (SWCNT) -modified screen-printed carbon electrode (SPE). Simultaneously, oxidation of the tyrosine (Tyr) and tryptophan (Trp) residues of the SSB protein increased upon binding of the SSB protein to ssDNA and ss-oligonucleotides. After the hybridization, SSB did not bind to the double helix form, and the guanine signal could be observed along with the disappearance of the oxidation signal of the protein. The amplification of intrinsic guanine and protein oxidation signals by SWCNT, and a washing step with sodium dodecylsulfate, enabled the specific detection of a point mutation. Monitoring the changes in the guanine and protein signals upon hybridization greatly simplified the detection procedure. The detection limit of 0.15 μg/ml target DNA can be applied to genetic assays. To the best of our knowledge, this is the first work that utilizes the monitoring of SSB–DNA interactions on a solid transducer for the electrochemical detection of DNA hybridization by using intrinsic oxidation signals. K.K. acknowledges the Monbukagakusho scholarship for research students from the Japan Ministry of Education, Culture, Sports, Science and Technology (MEXT).